Jaden Payoute, a rising senior at L.C. 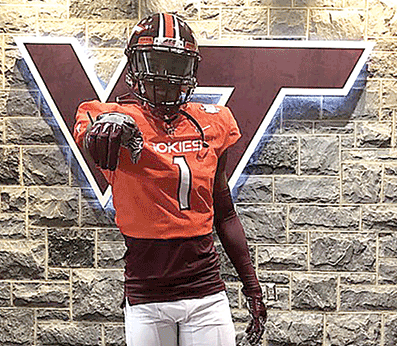 Bird High School and a track star, wide receiver and defensive back, recently gave a verbal pledge to head to Blacksburg. Payoute’s recruitment took off when he got his first offer in early May from Campbell University. Over the next 45 days, he received offers from Delaware, Cincinnati, UNC Charlotte, Tennessee, Boston College, Illinois, Elon, Pittsburgh, Marshall, Temple, Kent State, James Madison, Richmond, Towson and Norfolk State. As Taylor said, speed is Payoute’s specialty. 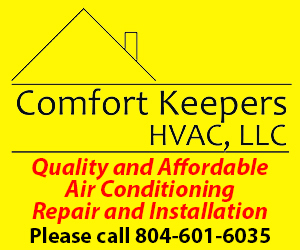 He was a member of a 4×100-meter relay team that won this year’s indoor and outdoor state championships and the national race at the Penn Relays. On an individual note, he won the state title in the 100-meter dash with a time of 10.67 seconds, a personal best, and finished fourth in the state in the triple jump. The two individual performances were better than one might have predicted for him. Payoute isn’t the lightning quick, small player that one might be used to seeing on high school football fields. He stands at 6-3 and weighs 195 pounds, which is a highly projectable frame. Once he gets on a college weight lifting regimen, he should only develop more. 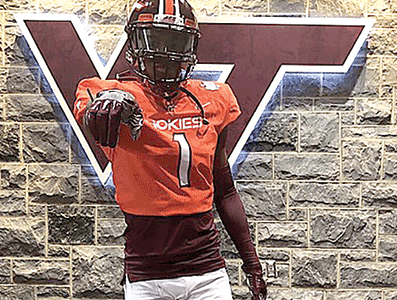 The standout athlete said that discussions with Virginia Tech included him possibly playing wide receiver and about getting a chance to get right into the rotation if he’s able to perform in practice. The Skyhawks are no strangers in working with Virginia Tech. One of the most highly decorated high school players in Virginia State history, Rayshard Ashby, is currently a sophomore. Another athlete and class of 2014 graduate, Shawn Payne, attended Virginia Tech for one season. Virginia Tech finished last season with a 9-4 record and ranked No. 25 in the NCAA Coaches Poll and No. 24 in the Associated Press poll. This will be Fuente’s third year at the helm of the Hokies after the retirement of legendary coach Frank Beamer.